AZ boutique your restaurant supply store has selected for you a comprehensive range of gastronorm products designed for catering industry tough kitchen conditions. All equipments featured in this range meet the criteria of the standard European GN sizing system to facilitate the organization of your professional kitchen while strictly respecting sanitary standards. 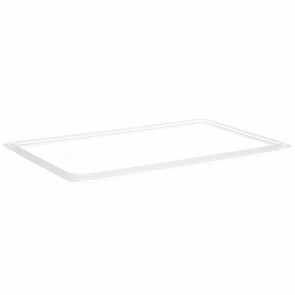 Plastic or Stainless Gastronorm tray or lid for gastronorm trays, or gastronorm container for safely transporting, warming, washing, cooling, mixing, freezing and preserving prepared food. 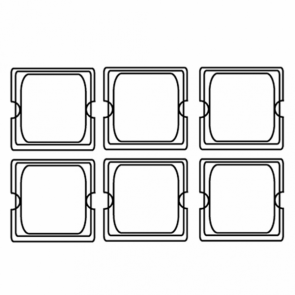 But how to choose the right material for your food tray and how to identify the right format? All products which are certified Gastro norm (GN) must use standardized GN dimensioning in accordance with the European standards for materials and objects in contact with food stuffs approved by the European Committee for Standardization under the reference EN631-1: 1993. The use of GN-approved products makes it possible to ensure that the containers used in professional kitchens, such as gastronorm containers, perforated containers and lunch boxes will perfectly fit on transport ladders, trolleys, isotherm gastronorm tray containers, industrial sinks, professional fryers, industrial trucks, drip carts and cooling cells with similar sizing standards. Now even certain food products such as pizza pans or lasagna are specially packaged according to the GN standards to be perfectly compatible with the professional catering equipment. 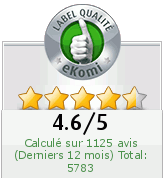 Gastronorm is a standard unit of measurement. Gastronorm products are available in specific different sizes which are respected to the millimeter to adapt to your needs. 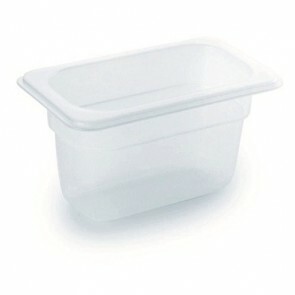 For the volume of your GN containers, the depth of the food container must also be taken into account. Which material to choose for gastronorm catering equipment? Stainless steel: Stainless steel Gastronorm products are really multi-purpose because they support very large temperature differences. 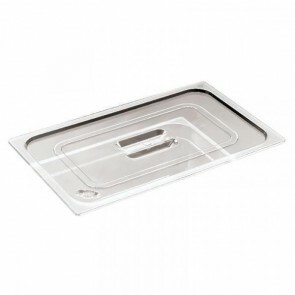 The stainless steel tray is perfect for food heating and cooking food, for use in a steam table/bain marie but also for conservation in the cooling cell. This kitchen equipment is therefore perfect for presenting food for a hot buffet. 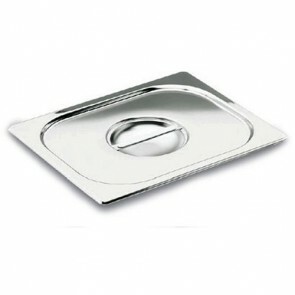 Stainless steel is also very resistant to physical shock and wear. 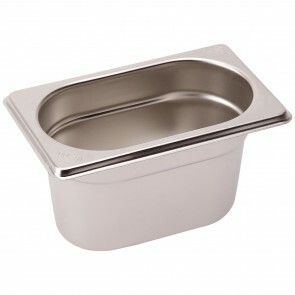 For example, you can use a mixer into your gastronorm stainless steel tray. The stainless steel trolley which also has the same physical properties is perfect for use in bakery industry where heat exposure is very common. The stainless steel trolley and container also support very large loads. 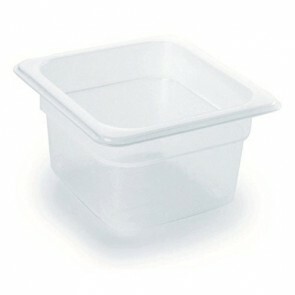 Plastic: Plastic food containers are recommended for the transport and storage of food for cold preparations. This kitchen equipment is perfect for storing food in a cold room, freezer or refrigerated cabinet. 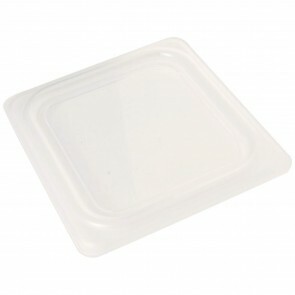 Some plastics such as polycarbonate are very heat resistant but are not suitable for cooking food. 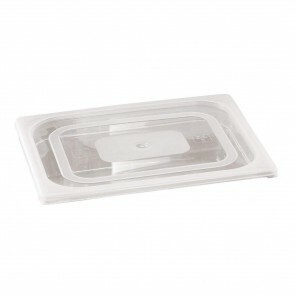 Nevertheless, this type of plastic can however be used to heat food and the transport of hot foods. 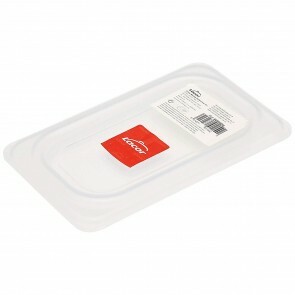 Transparent plastic storage containers allow you to identify foodstuffs as well as determine available stock at a glance. Our gastronorm products (containers are dishwasher safe) are easily cleaned for impeccable hygiene of your professional kitchen and to avoid any risk of contamination. AZ boutique offers a range of restaurant supplies specially designed for the catering industry tough kitchen environment: bakeware, kitchen ustensils, stackable stainless steel tray, plastic tray, perforated containers, lid for gastro tray, gastronorm dish, gastronorm trolley of different brands. 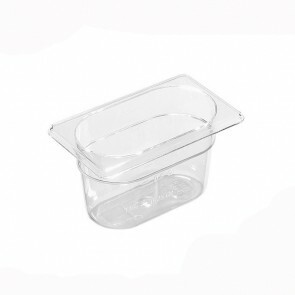 Polypropylene gastronorm container GN 1/9 17.6x 10.8 x 6.5cm/6.6" x 4" x 2.4"
Polypropylene gastronorm container GN 1/9 17.6x 10.8 x 10cm/6.6" x 4" x 4"
Tritan BPA free gastronorm container GN 1/9 17.6x 10.8 x 6.5cm/6.6" x 4" x 2.4"
Polypropylene gastronorm container GN 1/6 17.6x 16.2 x 6.5cm/6.6" x 6.3" x2.4"
Tritan BPA free gastronorm container GN 1/9 17.6x 10.8 x 10cm/6.6" x 4" x 4"